Before reading this guide for instructors, it might be helpful to quickly skim through the student-help documentation - although it is not necessary. 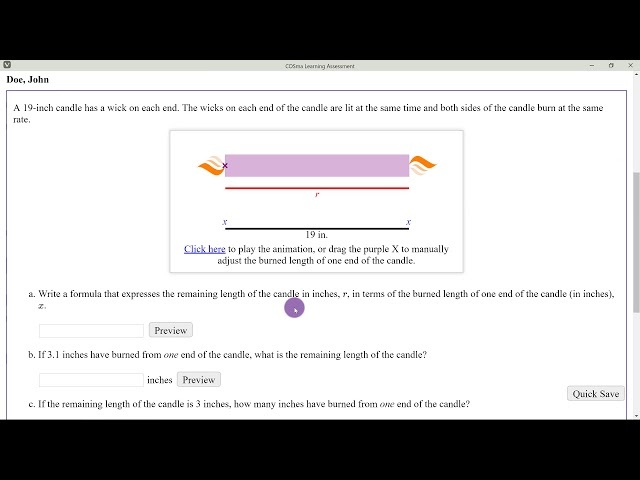 The video below covers the basics of getting started, as a teacher, in the COSma Learning system. To get started, you should make sure you have an account. You can sign up for an account at this link. If you are an instructor, you should have a coupon code that will get you a free account and automatically give you instructor access once you sign up. If you don't have such a coupon code, reach out to support@cosmalearning.com. Once you have an account, you can log in to the system at cosmalearning.com/IMathAS. The video below covers the basics of creating a course and importing course items into the course. 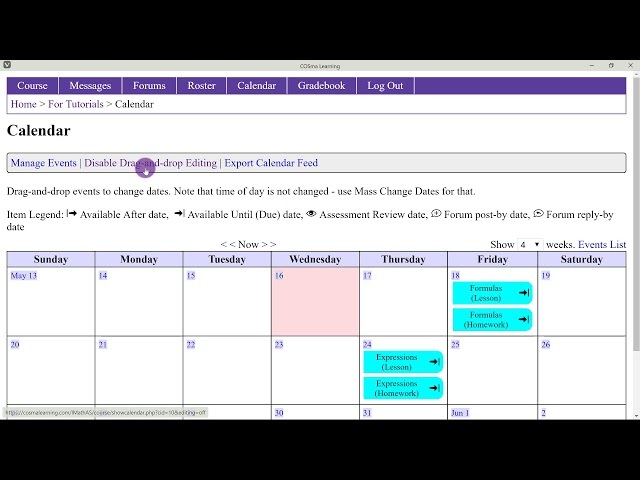 The video below covers the basics of creating course items and changing due dates. 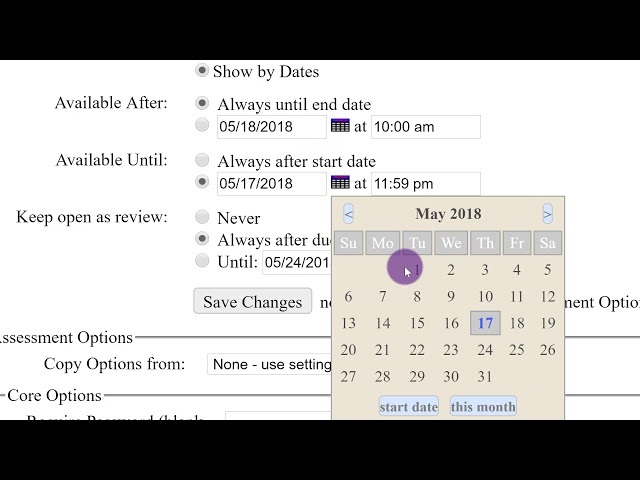 The video below covers the basics of using the calendar feature in IMathAS. The video below covers the basics of modifying assessment settings. The video below covers the basics of adding and removing questions from assessments. 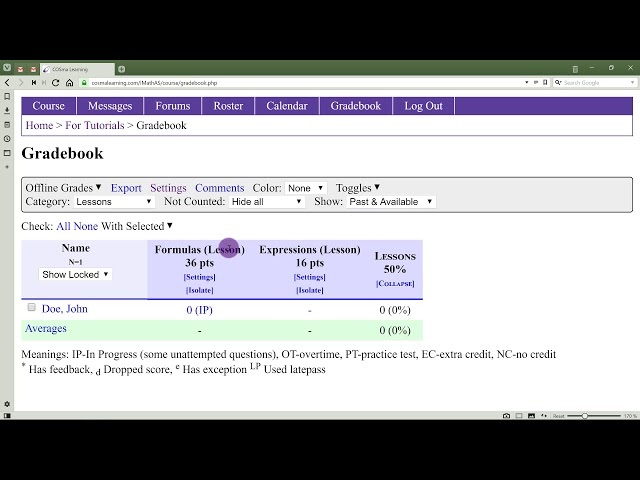 The video below covers the basics of using the gradebook and adjusting gradebook settings. The video below covers the basics of viewing the grades on a single assessment. 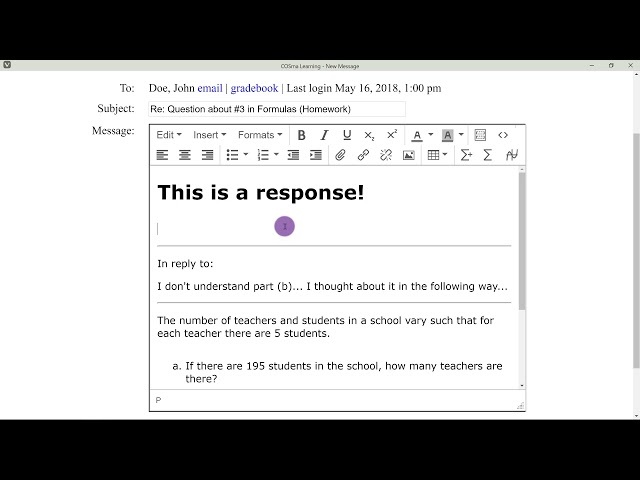 The video below covers the basics of communicating with students via IMathAS's messaging and forum systems. 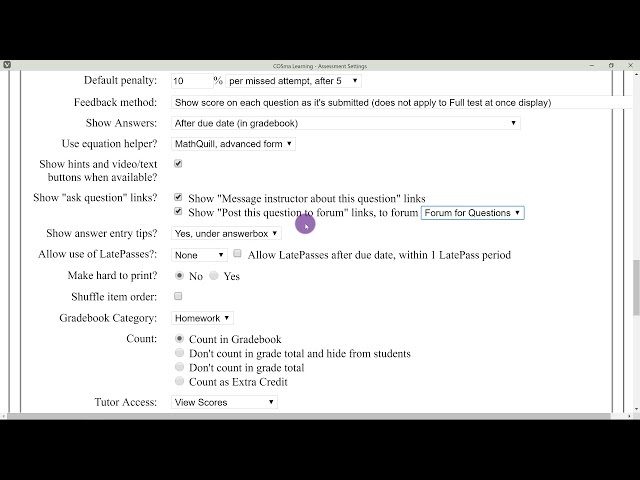 The video below showcases the LivePoll feature in IMathAS, which acts as a native "clicker question" system.